Haviland History by Haviland & Co. There are 30,000 to 60,000 patterns of Haviland and Co, Charles Field Haviland, Johann Haviland and Theodore Haviland Limoge china. What is a Schleiger Number? 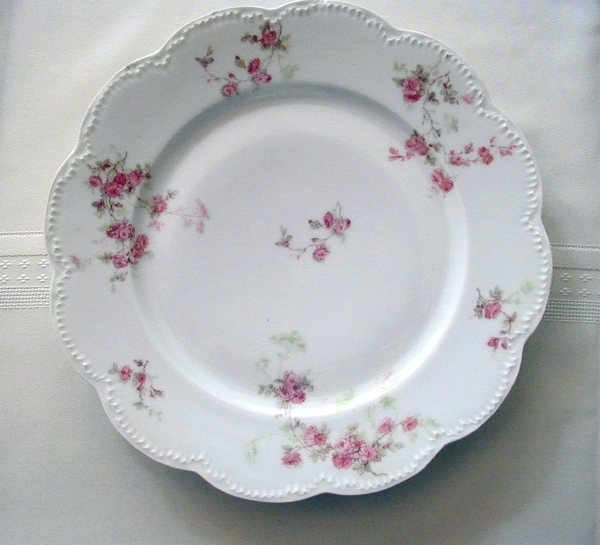 This is the identification system used by Haviland Dealers due to the large number of patterns of Haviland China. Follow the link for a better explanation. The books by the Schleiger family are the identifying sourcebook for patterns (black and white drawings). These are where all the "Schleiger" identification system of the 60,000 Haviland patterns came from. The later the book edition, the more current the identification. Hints: To match the Schleiger book picture, pick a Cup Saucer and match that. Also there may be 6-12 variations of your pattern, so look at more than one saucer to match the pattern. 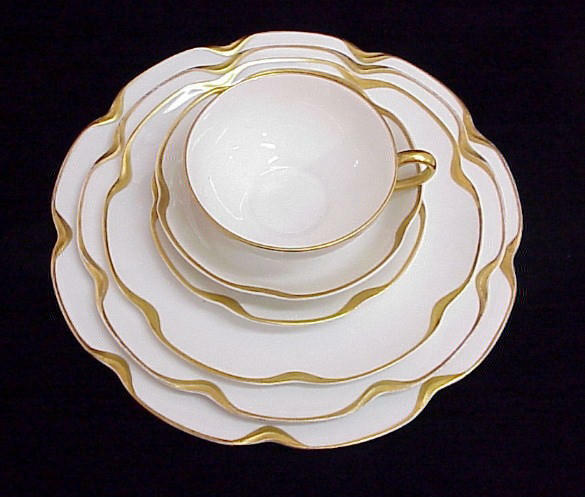 What is a blank?- The Haviland China Limoges plain whiteware comes in several dozen different shapes. To help with identification, blanks have been numbered in the Schleiger system. Plain blanks were also sold for people to paint their own china at home. Star Blank (Blank #5) list of pieces sold in early 1900's. Torse Blank vs. Cannele Blank -Think of the H& Co. Cannele Droit as "Straight Fluted", and the Schleiger #413- Torse as "Twist"
Haviland Dealers - A page of various Dealers with links to their current E-bay auctions, E-mails, specialties, web pages, etc. Scott's Haviland China Home Page- A very large dealer that has tons of patterns and over 120,000 pieces of Haviland china. 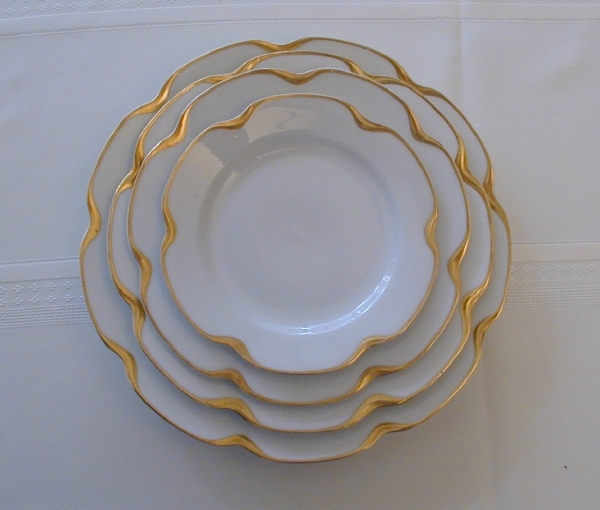 NORA TRAVIS - Haviland China Replacements-French and American , and author of two books on Haviland. See her books on our Books page. 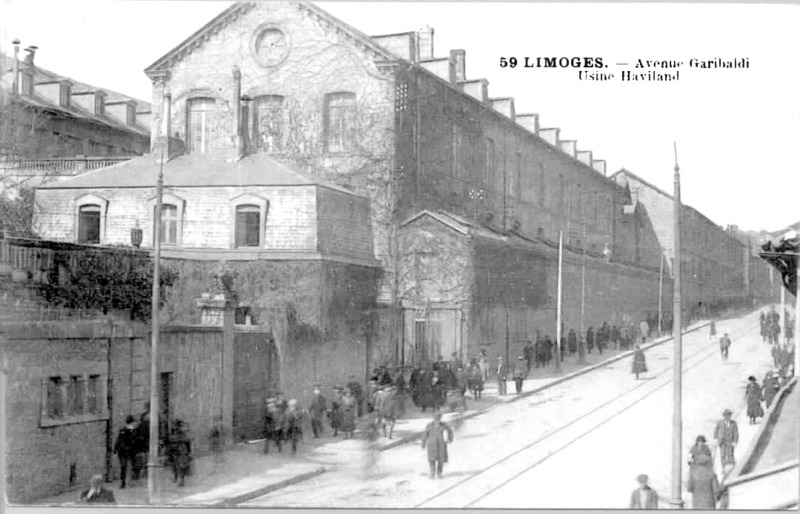 Current Haviland Limoges China Company the current Haviland Company which currently sells NEW Haviland in the US and France. Replacments Ltd.- Will send you a monthly e-mail on pieces they have in your pattern. They have a lot of patterns. Best if you already have your Schleiger number (they sometimes use their own numbering). Haviland Platter Museum and Cafe - Located in St. Charles, Missouri. Has Judy Garland Haviland set. Has a QuickTime virtual tour. Antique Networking (GoAntiques) - a world-wide searchable database featuring everything from fine art, antique furniture and estate jewelry to toys. Antique Web -Directory of Antiques, Collectibles, Auctions, Collecting News and Trade information. Packing China - guideline by Replacements. Copyright � -A Friend of mine has said, " You can never be too rich, too thin, or have Too much Haviland....."
All pictures and content are copyrighted and are not to be used elsewhere unless permission received. Copyright © 2000-2018 by Haviland Online. All rights reserved.